Wrightsville Beach, or New Hanover Banks as it was once called, remains a reprieve from Wilmington’s faster pace. 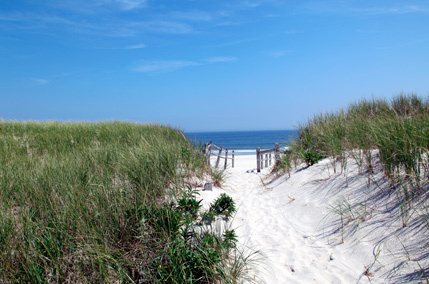 Offering miles of iridescent sand and sparkling water, Wrightsville Beach accommodates every interest. Boaters, sun worshippers, swimmers, surfers and anglers will find much to appreciate and enjoy about the setting. With a land mass of nearly a square mile, this island manages to maintain its charm despite the surrounding growth.